I have always been vocal that my two most favorite contestants on American Idol are Jessica Sanchez and Phillip Phillips. So, there is really nothing that can contain my happiness whenn both of them got to the grand finals after Joshua Ledet got eliminated from American Idol Season 11 last May 17, 2012. I was very happy about the turn-out of the competition. Although Joshua had a great performance yesterday, it is just not enough to save him as America decided through a voting system. There was only one instance that a part Filipino made it as top 3 finalist -- remember Jasmine Trias? This is simply a cloud 9 for me. It is the first time that my bets made it to the grand finals. But honestly, I was leaning more for Jessica to win the competion. She has the talent and her sore throat didn't even stop her to showcase how great she was. Phillip Phillips on the other hand is a pure American, and I am not blaming America if she will vote for him. This show is about public opinion after all. But I only have to say that people should remember that this is a talent show and I hope they prioritize talent over some personal preferences. 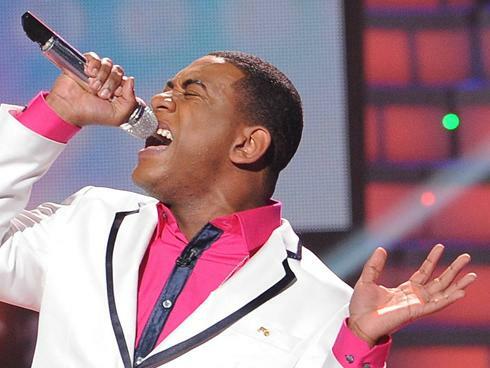 Only one thing is for sure, Joshua Ledet's elimination placed me on a very complacent and comfortable mood that I could celebrate without hesitation.